William Preston Vann, 89, of Laurinburg, passed away on Thursday, January 31, 2019 at Morrison Manor. A funeral service will be 2:00 p.m. Monday, February 4, 2019 at First Baptist Church in Maxton. Burial will follow at Hillside Cemetery in Laurinburg. Visitation will be one hour prior to the service in the church sanctuary and other times at 16841 Old Maxton Rd., Laurinburg. Born October 17, 1929 in Chatham County, NC, he was a son of the late Willie Lee and Blanche Carpenter Vann. 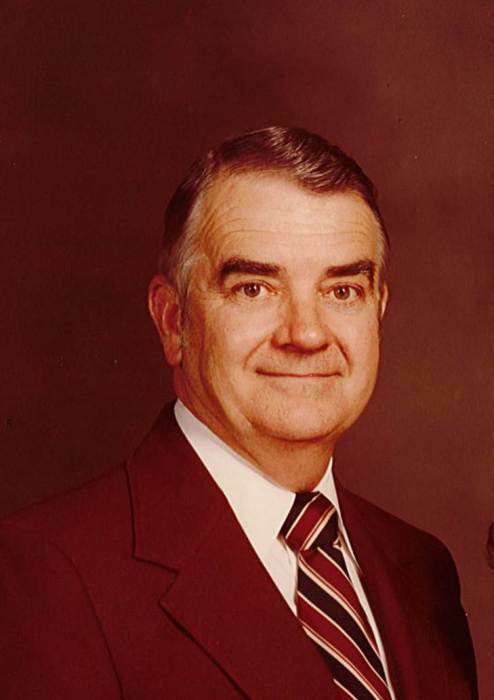 He sold automobiles for McLaurin McArthur for over 53 years. He was a faithful member of First Baptist Church in Maxton which he joined in 1941 at the age of 11 and has been attending for 78 years. He has served as Deacon, Treasurer and leading Open Assembly for many years. He enjoyed working on cars and most of all, summer trips to the beach. He is survived by his children, Bill Vann Jr. (Elaine), Cindy Vann Thrower, and Mark Vann (Lori), all of Laurinburg; grandchildren, Bill Vann III, Christopher Vann, Ryan Thrower, Gage Vann and Dalton Vann; great grandchildren, Christine Vann and Nathan Vann; and great grandchildren, Indie Green and Ava Grayce Vann. He is preceded in death by his wife, Christine Beane Vann and son-in-law, Roger Thrower. For those desiring, memorials may be made to Scotland Regional Hospice, P.O. Box 1033, Laurinburg, NC 28353 or First Baptist Church, P.O. Box 507, Maxton, NC 28364.